Arm your sales team with this iPad app & web solution. Email UNLIMITED documents- Fast, Easy and Hassle Free! 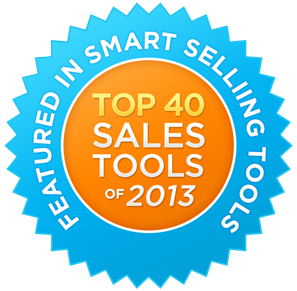 Display your sales materials in one place! Consistently deliver the Perfect Sales Pitch every time! Now you can deliver the Perfect Sales Pitch with this easy to use, easy to update, engaging and powerful Sales Enablement, Presentation and Marketing tool. Our platform is designed to be cross platform! We have a native iPad version and an equivalent HTML 5 Web version for those with PC's, MAC's, and Android devices. Why use Perfect Pitch 24? There are benefits for everyone - Corporate, Sales and Marketing! Have your team put a professional face forward using this dynamic and interactive presentation tool. 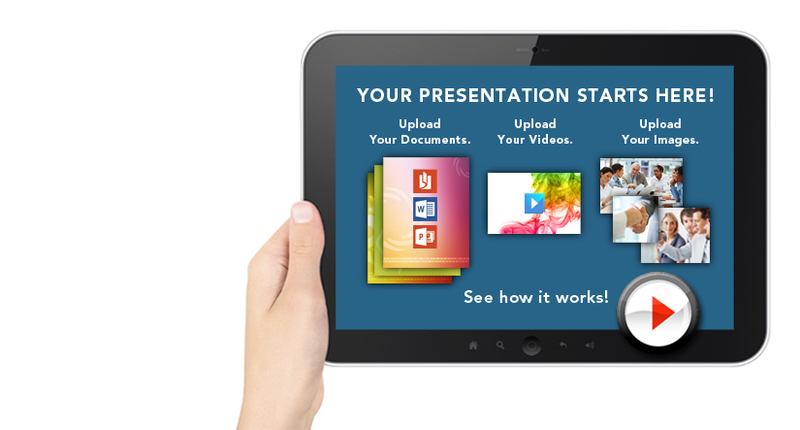 With one swipe of a fingertip on the iPad, or click on your laptop, you can deliver product videos, brochures, PowerPoint decks, white papers, and sales collateral using the latest in mobile technology. It's ONE solution that pulls everything together! One Voice - Deliver your corporate message consistently across all brands, products and services. Ensures that each Rep has the right material, knowledge and content to optimize every single interaction with a potential buyer. Onboarding - Reduces ramp up time for new hires and transfers within the organization. Analytics - Tracks what the sales team presents to clients along with an “in the field” feedback feature that gathers customer feedback right away. Compliance and Version Control - Reps always have the most current marketing and sales collateral at their fingertips, ensuring that you are always in Compliance. Training - Reps in the field are trained faster and more efficiently, preparing them to sell more quickly and consistently across sales teams. Cost Reduction - Significantly reduces printing costs of paper-based sales collateral like pitch books, and brochures, as well as virtually eliminates DVD reproduction and postage costs. Market Feedback - Our market feedback tool provides valuable ongoing market analysis, allowing you to shift your strategy as needed. Efficient - Reps spend less time creating presentations because all information is intelligently organized for them, freeing them up for selling and strategizing for sales calls. Offline viewing capability is a huge benefit- no need to login to a client's network to bring up your marketing files. Just open your laptop or pull out your iPad and PRESENT. Instant Access - All current information about a product or service is at the Rep’s finger tips. This includes Videos, Images and Documents integrated right within your iPad App or HTML 5 version. The Rep opens the App, taps a product, and displays all content related to that product. Then the Rep taps an image or document to view the content, and can also tap to play a video or open collateral. Email - Send your prospect Videos, Images and Documents about your brands, products and services immediately at the end of the presentation. When sending the email the App generates a unique link that contains the selected materials. Deliver a "one-two" punch to the prospect by giving them the information you just presented immediately with this unique link. Integrated Video - Assure that your Reps deliver the PERFECT PRODUCT message created by you with impact and meaning to the prospect. One Location - A centralized repository for all of your marketing content-right at the Reps finger tips in an organized presentation mode. This tool brings your marketing content to life, presenting it in an innovative and impactful way, quickly with little prep time. Email Marketing - Select mulitiple documents across brands, products or services and then generate a unique link to be emailed or presented. When clicked on, the unique link takes the recipient to a dynamically generated microsite. This link can be embedded within an email and used to promote the company’s products or services. In the Enterprise Package, you can also email Videos and Images in addition to Documents. Analytics - lets marketing know what products are in demand, and which collateral, image and videos are valuable to the sales team and their customers. If your goal is to have your sales teams focusing on selling and less time preparing presentations then Perfect Pitch 24 is the answer. Try it for Free for 30 days and see how simple it really is!